So, you’re the proud owner of a new inground pool? Congratulations! Aside from planning the next few weekends leisurely floating around in it, you’re also probably wondering what you’ll need in order to take proper care of your investment. 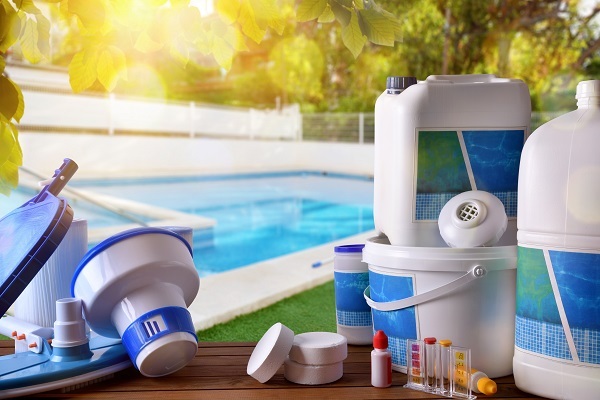 Here is a breakdown of the most important and most popular products that all new inground pool owners should consider. A salt water chlorine generator will keep your pool sparkling clean and offers a number of benefits when used over regular chlorine products. Firstly, it doesn’t give off that strong smell and, secondly, it is a lot gentler on the eyes, skin and hair, too. All in All, it promises a much more pleasant swimming experience for everyone. As much as we love our pools, very few of us actually enjoy keeping them clean, especially if doing so requires a bit of elbow grease on our part. Luckily, an automatic pool cleaner does it all for you and, as long as your budget correctly and do your research, doesn’t need to cost you a fortune either. While not an essential, a pool heater is every new pool owner’s dream. It will keep the water at the perfect temperature, making it possible for you to swim come rain, shine or snow. Well… almost! You’ll have a choice between solar, gas and electric heaters, so do your research before taking the plunge and making that purchase. The one that you opt for will depend on your preferences, budget constraints, and requirements. New inground pools make life so much more exciting! Interested in finding out the cost of an inground pool or the details of using an inground pool installation service? Contact Mr. Pool today!